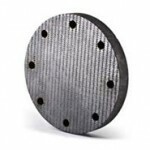 Online Furnace stock a range of spares for vacuum furnaces, pressure furnaces, HIP and controlled atmosphere furnaces. 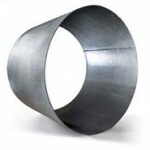 These include CFC grades in plate form, threaded and plain rod, angle and channels. CFC is a high strength light weight material, suitable for use as hot face linings in pressure quench furnaces offering maximum insulation protection and hence package lifetime. Its high strength to weight ratio makes it the ideal choice for structural assemblies and fixtures for work piece support in vacuum sintering, HIP and semi-conductor furnaces. Typical designs can yield greatly increased charge capacities of between 30 & 50%. High density, high strength fastener grade material is an ideal replacement for graphite and molybdenum fasteners.